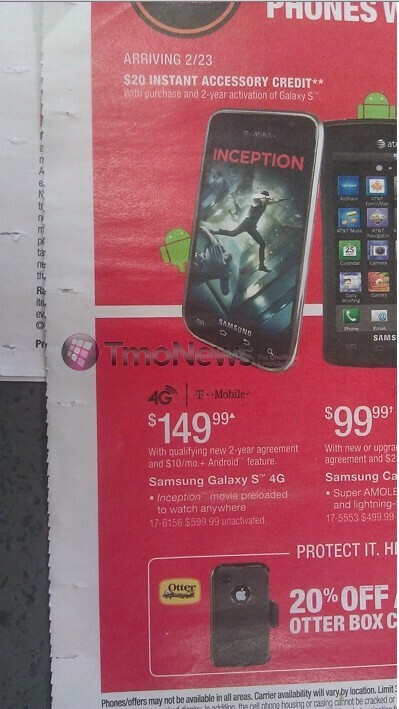 We already told you that Walmart is to offer the Samsung Galaxy S 4G for $148.88, and now we actually see a leaked ad, which shows that the handset will be priced at $149.99 by Radio Shack. There is no official information when this handset will be launched, but if these "arriving 2/23" words are of any indication, we may very well see it in the coming weeks, which is in accordance with previous rumours. 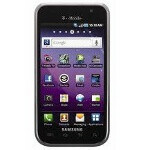 The Samsung Galaxy S 4G will be the first phone on T-Mobile's network with a 21+ Mbps speed support and will come with Froyo out of the box.